Plastics implementation expert Dr. Norm Kakarala of Delphi Automotive talks about the trends and developments in the application of plastics. You've undoubtedly been somewhat annoyed by the fog that forms on the interior of your windshield glass, fog that tends to be rather tenacious even though you spritz on the glass cleaner in great abundance. That fogging, explains Dr. Norm Kakarala, development engineer, Advanced Development Group, Delphi Interior & Lighting Systems (Troy, MI), is generally the result of the plasticizers in the polyvinyl chloride (PVC) material used for the instrument panel making their way out of the PVC. The plasticizers are used in the PVC because that material is stiff. So in order to make it pliable, the liquid additives are put in the mix. And when the instrument panel gets heated by the sun, a small but annoying percentage of them end up on the glass. Delphi, and other manufacturers, have come up with an alternative to the use of PVC for this application—as well as for a variety of others. The switch is one to the use of olefins (including polyethylene, polypropylene, and thermoplastic polyolefin [TPO]). As he puts it, "Cost is the primary determinant of what material is selected for an application. If there is a way to use polypropylene, then we've got to find it." So in the case of the instrument panel, the PVC is giving way to a TPO-skinned olefin material. Cost-effective, not necessarily new. 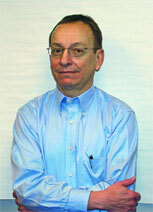 Kakarala says, "The industry is not looking for new molecules, polymers, and resins." He estimates that there are about 20 different plastics used for a given car or truck, with applications in the interior, exterior, under the hood, and for chassis and powertrain. Some of these materials are specifically suited to a given application because of their properties. For example, nylon has self-lubricating properties, so it is used in places like on sliding doors. Another is acetal, which is used for seatbelt buckles because it has the necessary compression and rigidity parameters. But having an array of specific, individual materials can be an expensive prospect for a variety of reasons. Just as automakers are looking to commonize on fewer suppliers because of the efficiencies that can be thereby gained, they are also looking to reduce the variety of plastics that they are employing in their production. "What we're looking for," Kakarala explains, "are less expensive materials, like the polyolefins." He cites, for example, the fact that 10 years ago, urethanes, which are thermoset materials, were the mainstay of bumper manufacture (about 80%). The shift is on to using TPO, a thermoplastic, in that application, such that in 10 years the respective positions of the two materials will have reversed (the TPO becoming 80% and the urethanes being at 20%). Thermosets aren't readily recyclable; they can't be remelted and reused (they are typically ground up and the resulting powder is used as a filler or depolymerized inot monomers). TPO can be remelted and reused. Which means that it is more recyclable into a part that it started out as being. Old bumpers, scrapped bumpers—& new bumpers. Kakarala cites a recent example of recycling of TPO, this being performed by VisteonAutomotive Systems. Visteon won the 1998 environmental award from the Society of Plastics Engineers (SPE) for its initiative; Kakarala is the Detroit section president of SPE. The recycling of TPO in and of itself is not a breakthrough. What makes Visteon's approach notable is that it is using post-industrial TPO scrap from its manufacturing facilities in Utica and Milan, Michigan, scrap from paintedbumpers. Historically, this material has been placed in landfills because the paint is an obstacle with regard to recyclability. But Visteon is actually using the bumper scrap to produce new bumpers for a variety of Ford cars and trucks (including Lincolns, so don't imagine this recycling leads to some sort of product that is sufficient only for the "green" oriented consumer). The scrap TPO is collected from the plants and then sent to American Commodities Inc. (ACI; Flint, MI). There, a proprietary process is used to remove the paint from the plastic. This is what makes the material usable for the subsequent applications. There is about 15% recycled material used in every bumper produced at Utica and Milan. On a weekly basis, this means about 30,000 lb. of recycled TPO in each factory. Even though they are using just 15%, there is approval to use up to 100% in production, which indicates just how recyclable TPO is. There is such potential here that ACI has established a network of 400 collection centers across the country for removing bumpers from vehicles in scrap yards. To assure material consistency, bumpers from specific years, makes and models are being segregated. According to Daniela Olejnik, a Visteon advanced manufacturing engineer, "Our goal is to recycle all of the plastics that Visteon uses. We tested the recycled TPO for a year and met all product performance requirements for this material. We proved that post-industrial TPO performs exactly like virgin material—and helps us protect the environment and save money." All along the process learning curve. Another way that money can be saved with plastics is coming with experience. Kakarala notes that urethane bumpers tend to be on the order of 3.5 to 4 mm thick in order to accommodate the forming properties of the glass-fiber reinforced polymer. As there is a switch to TPO, which has high flow characteristics, it is possible to reduce the thickness of the bumper to 2.5 mm, which means, of course, that less material is required. Kakarala says there are process developments that are particularly advantageous for use in interior component manufacturing. As he walks through the stages of development, he cites basic injection molding, then moves through thermoforming, gas-assist injection molding, low-pressure molding, injection/compression molding, and extrusion deposition molding. Asked to explain the last-named, the latest development, Kakarala says that extrusion deposition compression molding combines two different steps than those used in conventional injection molding. That is, in injection molding, the plastic material is melted, then the liquefied polymer is injected into the mold. But in extrusion deposition compression molding, the plastic is melted, but then extruded into a billet; the pliable billet is then placed into a tool and compression molded. So instead of squirting a liquid plastic into a closed mold, this approach takes a semi-solid plastic billet that is compressed in a die set. According to Kakarala, the latest approach, which is catching on in Europe, is particularly good in cases where there is glass filler used in the resin because the glass fibers aren't as broken up as they tend to be in conventional injection molding. The evolution continues. On the interior of vehicles, plastic materials are going to be replacing other plastic materials. It will not be conquest. But, Kakarala notes, it seems as though there will be some replacements in other parts of the vehicle. He points out, for example, that fenders are a particular area of interest, as demonstrated on vehicles ranging from the New Beetle to the seven-foot-long sport-side rear fenders on the new Silverado full-sized pickup. Why fenders? Because on new designs like these they tend to be complicated shapes that are more readily attained in plastic than through steel. Put another way: plastic is a more cost-effective means to achieve design intent. It all comes back to the price. Last fall, researchers from the United States Council for Automotive Research's Automotive Composites Consortium (USCAR's ACC) demonstrated the programmable powder preform process (P4) at the National Composite Center, which is located near Dayton, OH. P4, which was invented a decade ago by Owens-Corning Corp. and which has been further developed along with USCAR, is a means by which large composite structures, such as pickup truck boxes, can be effectively produced. Essentially, robots spray chopped glass fibers onto a screen. The result is a preform. The preform is then put into a mold, which is then filled with resin. The resin hardens and the part is complete. This is a much more efficient approach to making large composite structures, which have long been time-consuming. Kakarala says developments like P4 will strengthen the evolution of plastics applications in automotive. Matt Orlando, Research & Development manager,Plastic Omnium Industries (Rochester Hills, MI), points to the front and rear fascia-fender combinations for a Volkswagen New Beetle and remarks: "The fascia, because it needs flexibility, is made with a TPO." Specifically, Solvay D162. He continues, "But there is more stiffness needed for the fenders, so we use GTX." Specifically, GE Plastics Noryl GTX 964. Referencing the fenders, he adds, "After all, people are going to probably sit on them." The fender-fascia combinations account for about 33% of the vehicle's body surface, so odds are good that if anyone is to sit on the car, the fenders are probably the spot. The '99 New Beetle: Plenty of plastics for one of the most talked-about cars on the road today. Plastic Omnium is producing the fenders and fascias ("When we get the fenders for a project, we always get the fascias," Orlando remarks) for the Mexican-built New Beetle in its Puebla, Mexico, plant. One of the reasons why the fender-fascia combination is important is so that there can be an assurance that any heat-growth issues can be accommodated. Isn't there an issue regarding painting the two different materials? Orlando acknowledges that there are differences that need to be taken into account so far as paint formulations go, but it really isn't a problem. Although Plastic Omnium, like other plastic component manufacturers, generally provides painted fascias (unless it is molded-in color) to the automakers, with the automaker generally preferring to paint the fenders, in the case of Volkswagen and the New Beetle, Orlando notes, "They're very nontraditional: they paint the fascias and the fenders." For example, there are three different grades of GE Plastics Noryl resin (unfilled; glass-filled; high-heat unfilled) used to produce the dashboard. The headlamps, supplied by Bosch, have GE Plastics Lexan polycarbonate lenses. Bayer Corp. has its materials in more than 10 applications in the New Beetle. Among them are inner door panels made with Bayblend polycarbonate/ABS, a material that provides heat deflection properties. The same blend is used for instrument panel components. Two other ABS resins, Novodur and Lustran, are used for the glove compartment and center console. These interior components are produced by Sommer Allibert Industries. Sommer Allibert also employs Bayfill semi-rigid polyurethane foam to produce a component that's behind the skin of the instrument panel. Polyurethane foam bolsters in the doors and in the steering wheel column shroud—applications taking advantage of the energy-absorbing properties of the material—are produced with Bayfill EA by American Thieme Corp. The tail lights, produced by Reitter & Schefenacker, use Bayer Makrolon AL polycarbonate resin for the lenses, as well as Novodur ABS for the lamp bezel and Bayblend polycarbonate/ABS blend (because it can be electroplated) for the reflectors. The New Beetle is even enveloped in Bayer polyurethanes: the material is used in the coatings for both plastic and metal exterior parts; the coatings and paints are supplied by Herberts Powder Coatings. And there are even more applications.